Copper Silk Granite form India background color is brown with flowers of Brown, Baige, pink with tiny black dots and waves of multi-colored micro crystals that make this stone very eye catching. These slabs are hard enough to withstand heavy pressure. These products are highly demanded by the clients for its beautiful appearance and hardness. 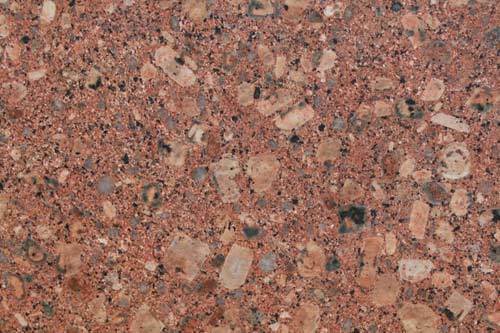 Red and Brown Granites are very much trendy and the Copper Silk Granite is one of the accept choices to the homeowners. Copper Silk Granite is suitable for both interior and exterior. Kushalbagh Marbles is the leading manufacturer, supplier and exporter of Copper Silk Granite. We are exporting Copper Silk Granite to over 20 countries all over the world. We supply Slabs, Tiles and other cut sizes of Copper Silk Granite. To fill out the enquiry form, please click here to get the best quotation for Copper Silk Granite.